The work of A and D Projects often juxtaposes the past and present and is meant to evoke a sense of our place in the Universe. 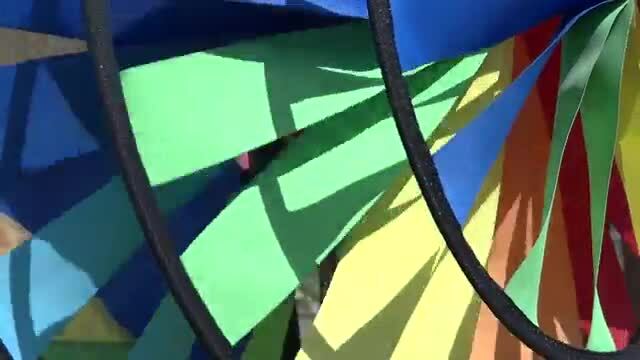 Our video of a contemporary fabric pinwheel with multiple layers that spins very fast is meant to awaken in us joyful childhood memories. The mesmerizing motion of the beautiful colors of the layers of fabric spinning are meant to be enjoyed as when we were children with few cares. But, as it spins, it’s meant to evoke a sense of how quickly life passes us by. As it stops, it’s a metaphor for the end of life. Our video is meant to evoke a certain sadness of the end of life but also be a joyful remembrance of the joys of life. It’s to remind us that life is precious and we must live every quickly passing moment to the fullest.